Maltby TE Forged Iron Views New for 2010, the Maltby M-Series Tour Edition Forged Irons replace the popular MTF Forged Irons. The Tour Edition Forged Iron club head has been developed based on customer request for a traditional cavity back design with less graphics. The exceptionally clean look of the M-Series TE irons along with a traditional blade profile appeals to the better players and traditionalist looking for more forgiveness. 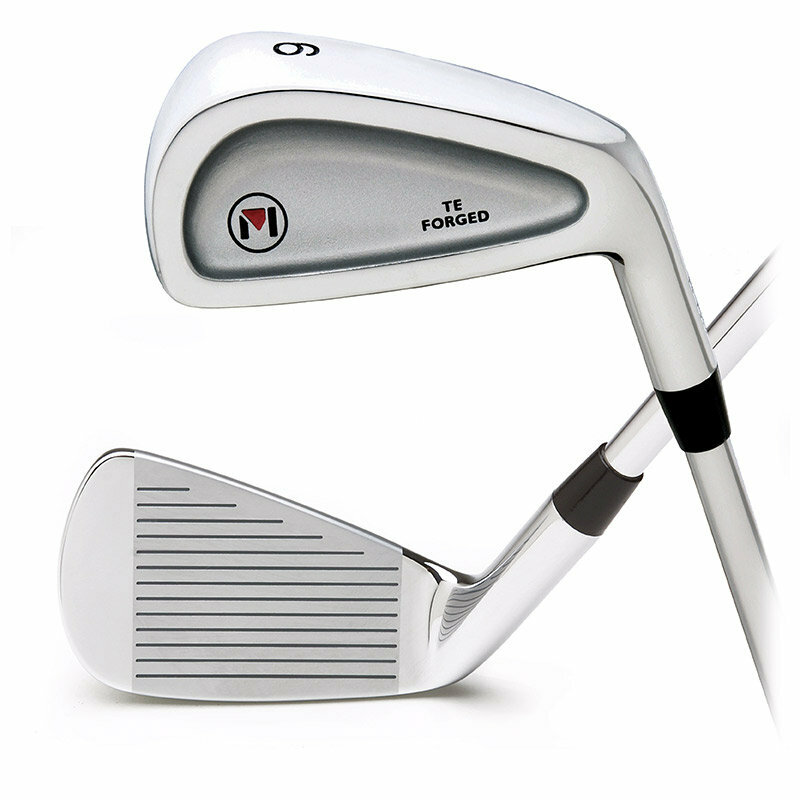 The TE Forged irons are the result of a tireless five step forging process that starts with a raw billet of 1035 carbon steel and through a series of 5 different forging dies and multiple heat treating process’ creates an incredibly precise finished head requiring very little surface grinding. Typical forged cavity backs only utilize one forging die and have to be hand ground into the final shape and head weight, causing inconsistencies in every clubs specifications from one club to the next. By optimizing the center of gravity position, the Maltby TE Forged irons offer Super Game Improvement playability, combined with the exceptional feel and look of a true forged, players cavity iron.